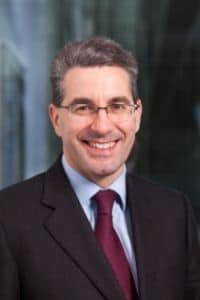 The new chief executive of the Solicitors Regulation Authority has used one of his first public platforms since being appointed to outline the new “back to basics” approach he wants the regulator to take. Paul Philip, who replaced Antony Townsend in February, said existing rules “still err too much on the side of caution” and the regulator needed a “clear regulatory philosophy” to ensure that its proposals had coherence. The SRA launched four major consultation exercises last week, on indemnity insurance, the compensation fund, multi-disciplinary practices (MDPs) and accountants’ reports. Speaking at the Manchester Law Society regulatory conference, Mr Philip, previously deputy chief executive and chief operating officer of the General Medical Council, said doctors and solicitors both belonged to demanding professions, whether saving “lives or livelihoods”. What they share, he said, was common values, such as trust, integrity, confidentiality and impartiality. “We need to get back to basics and think about what it means to be a professional. 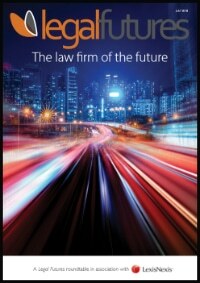 The legal market place is changing more quickly than in medicine. Mr Philip said that over the next six to nine months, he wanted to talk to practitioners and understand the pressures that their businesses faced. “It’s becoming increasingly clear to me that we can’t continue in the same way, with a series of piecemeal changes, which have often been reactive. We need a clear regulatory philosophy to ensure that the proposals the SRA put out have some coherence, and we need to be clear about the effects of them on solicitors. Mr Philip described the SRA Handbook, recently ‘streamlined’ to 650 pages, as “ridiculously long”, but the SRA had received “quite a lot of push back” over attempts to cut it down. Mr Philip said responses to SRA consultations tended to be “patchy”, and the regulator would like to introduce more of a rhythm to its consultations, so they were issued at regular intervals, rather than constantly. However, Mr Philip said he had already received a number of objections to relaxing the requirements on the keeping of the roll, while “there has also been resistance to our approach on CPD, mainly from those who provide CPD services. 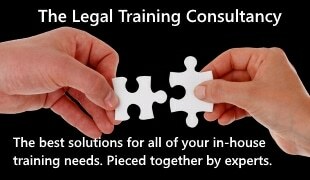 I don’t believe CPD and compulsory insurance are what makes solicitors special”. Mr Philip said he would resist external pressures to add further rules, and focus on the battle against crime and fraud. 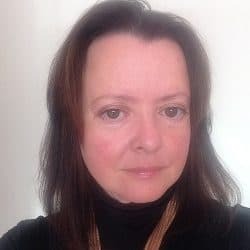 He said the SRA had improved its performance “quite radically” on alternative business structure (ABS) licensing, to the point where new ABSs should now be authorised in around four months. However, he said the regulator had not approved as many ABSs as expected and not many MDPs had come through. He said that the separate business rule had been waived in around 40 to 50 ABS license applications. “When you waive a rule so often, you must question whether it is legitimate,” he said. On conflicts of interest, he said that some City firms argued that there needed to be a level playing field with the big accountancy firms, where similar rules did not really exist. He said that although the regulator had made “big inroads” in its understanding of how large firms operated, it needed to make “a lot more” progress with small and medium-sized firms. Actually, “Chardonnay” is not my favourite drink. I don’t like the sound of “more flexible” arrangements for “larger” firms. Yes, be more flexible for those who want it and deserve it and can cope with it but that is not necessarily “larger” firms. I say that with a lot of experience of both large and small. I do fear this man is assuming that lawyers are all middle class origins and that law firms are safe; small not so much. Here we go again…..